The community screening was a great success! It was held at Tluu Xaada Naay Long House (Christine White's Long House) in Old Massett and it was a packed house. Thanks to the grant from Northern Credit Savings Union we were able to hire Nate’s friend Jack who brought his professional projector, enormous screen and beautiful sound system. 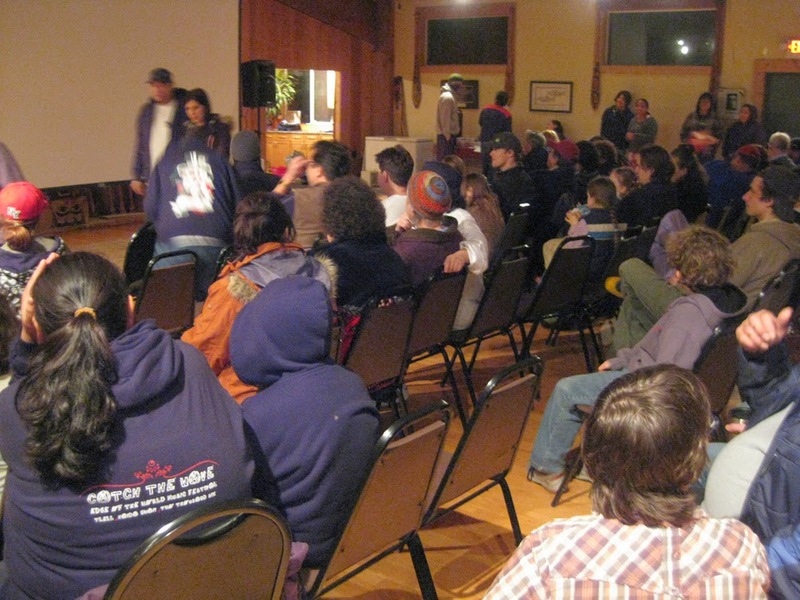 Each film was a great hit with the audience. We followed the screening with a Q & A session, where the youth individually talked about their films. Audience members were also quite animated and we had a few very encouraging and positive remarks from the community. It was a magical evening. 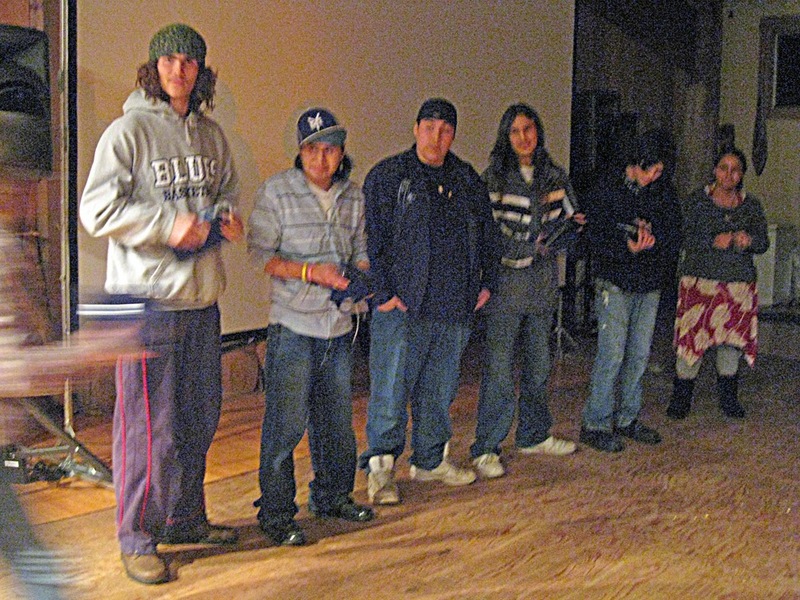 The youth delivered stories that were not only about their own expression and accomplishment; but also contributions, in the Haida language, for the greater community as well.